Nebat Drums-Worldwide Drummer- in Fratelli Lounge &#038; Club! Nebat Drums-Worldwide Drummer- in Fratelli Lounge & Club! This Saturday, the 1st of December, Fratelli Lounge & Club becomes a playground for all those who love the chase better than the catch! It’s a night for fearless hunters that seized the moment and devour their prey in just a few seconds! For this special night, we have invited for the first time in Timisoara, Nebat Drums, worldwide drummer, to enrapture us with the jungle beats! His performances have been successful in North America, Europe, Asia, Africa, and Oceania and Nebat is a two-time award winner of “Best Instrumental” and “Best Traditional” in 2011. He’ll get a taste of our Urban Jungle where only the strong survive! 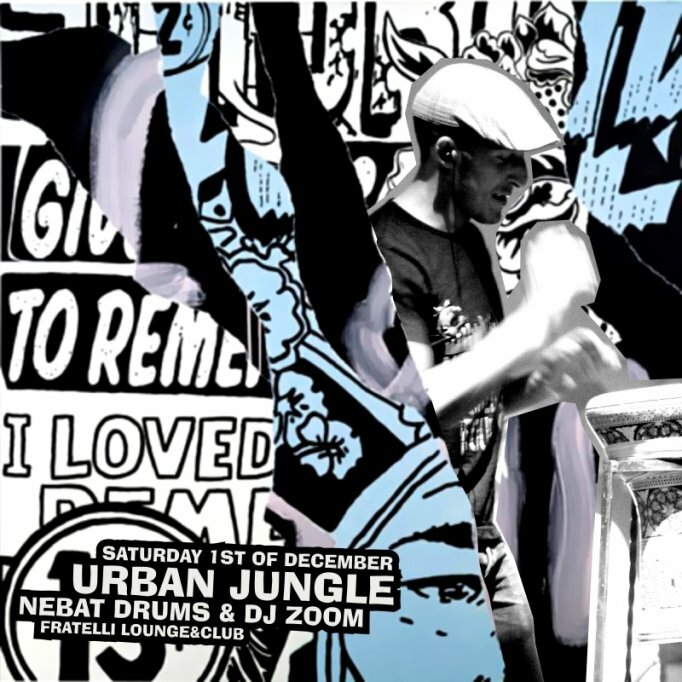 See you on Saturday, the 1st of December, after 11.30PM, with Nebat Drums and DJ ZooM to catch a glimpse of the famous urban hunters! It’s gonna be fun to watch, but ever more fun to play! For reservations, please contact: officetimisoara@fratelli.ro / 0722 122 123. Fratelli reserves the right to select its clients, due to the capacity of the locations and the reservation list.